Say hello to the very first piece in our "Thin Line" collection. 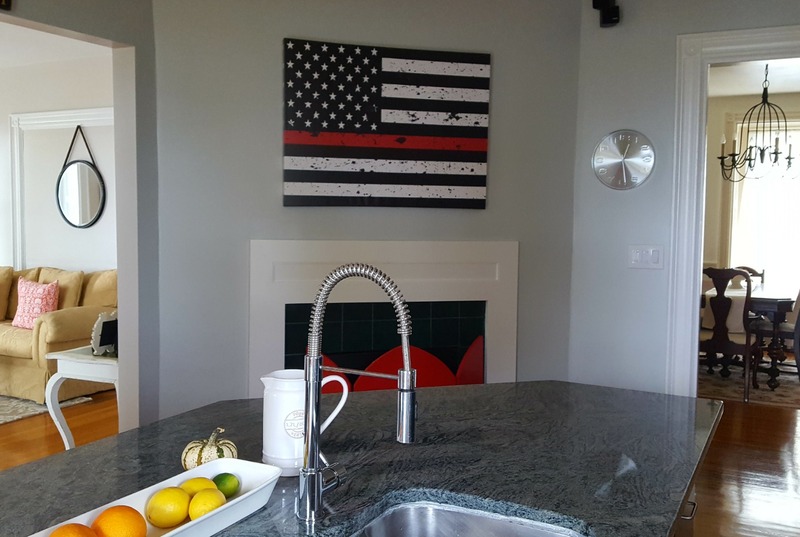 Proudly display your support for police, firefighters, EMTs, and service members with this beautiful canvas. Love it! 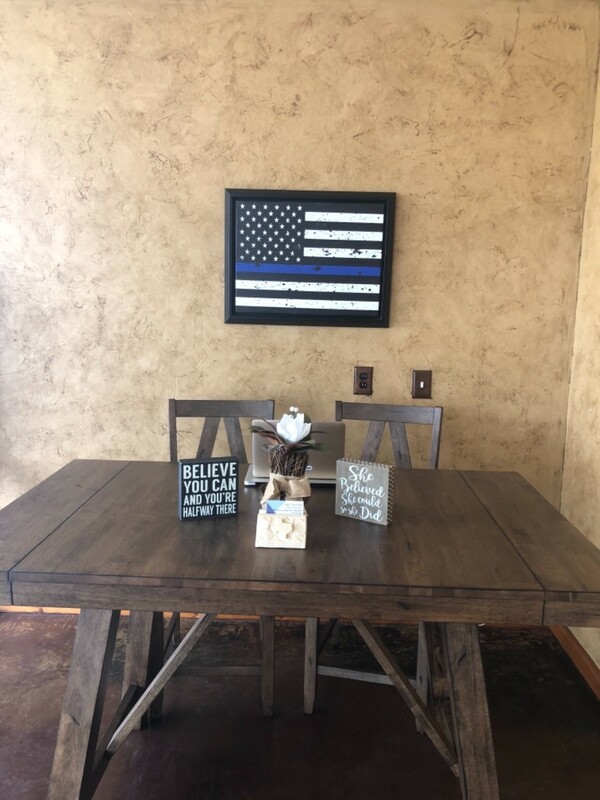 It looks so beautiful in our kitchen! The quality and size is exactly what we were hoping for. We are very happy with it. Thank you. I love my new art in the office and it has created some great conversations with friends, family and my patients. The canvas leaves a powerful statement in its simplicity and the blue line in the middle delivers a punch. The power of art is expression of owns ideals and this one shows what mine are without having to say a word. 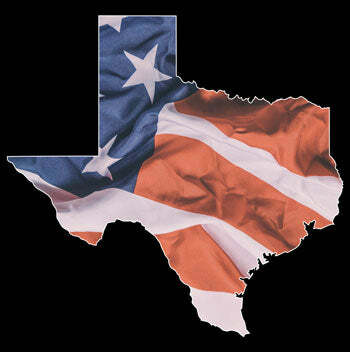 As a small business owner I love to support others like me especially veteran owned businesses. This is our way of giving back. It was first class. Loved everything about it. Only one regret-wish I had ordered it larger. 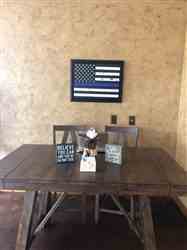 I ordered the thin blue line distressed flag canvas for a friend of mine who is retiring from his police department. I received it today and couldn’t believe the quality of it. It looks 100x’s better in person. The canvas came package in an awesome box, secured and wrapped to protect it. I can’t thank the folks at Flipside Canvas enough especially Dakota Meyer who was kind enough to personally assist me. Dakota thanks again for making this happen !